Celebrate National Poetry Month with Poet Lore, America’s oldest poetry magazine! Find me at The Writer's Center table! I'll be on a panel in the afternoon and staffing The Writer's Center table throughout the day. 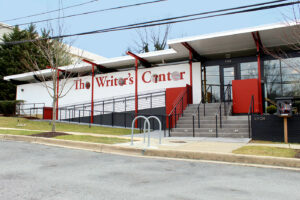 Prose, poetry, and spoken word Open Mic at The Writer’s Center! All writers are welcome to come and share 3-4 minutes of their latest work. Sign-up starts at 1:30, and readings begin promptly at 2. Hosted by Amy Freeman, Emily Holland, & Zach Powers. A literary variety show featuring Stephanie Allen, Tyrese L. Coleman, Philip Dean Walker, Vonetta Young, and more! Hosted by Zach Powers. 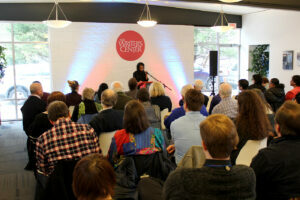 Prose, poetry, and spoken word Open Mic at The Writer's Center! All writers are welcome to come and share 3-4 minutes of their latest work. Sign-up starts at 1:30, and readings begin promptly at 2. Hosted by Amy Freeman, Emily Holland, & Zach Powers. Sponsored by Poet Lore.